This entry was posted on February 4, 2013 at 12:44 am and is filed under Rolemodels. You can follow any responses to this entry through the RSS 2.0 feed. You can leave a response, or trackback from your own site. 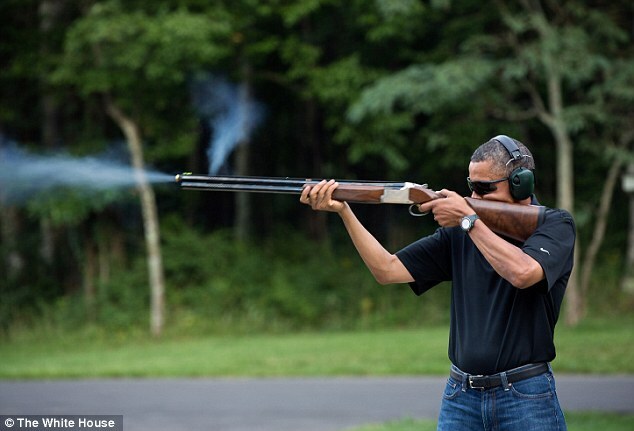 I read the picture was from August 2012 and that some republicans/right wing news stations were demanding to see a picture of the President with a gun. Clearly they’re trying to set him up as being hypocritical but he’s the perfect example of someone who can appreciate guns but see where that line needs to be drawn. No doubt that he is such an example but the timing remains unfortunate. Thanks for the comment pridemadness! Yes it is but possibly if we look at gun deaths in the USA, there is never a good time?